Two sisters live in isolation with their deranged uncle following the deaths of the rest of their family. When a cousin comes to visit, family secrets and scandals unravel. Based on the beloved Shirley Jackson novel. 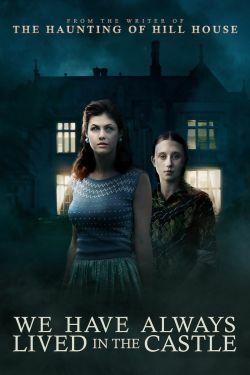 Two sisters (Alexandra Daddario and Taissa Farmiga) live secluded in a large manor and care for their deranged uncle (Crispin Glover). The rest of their family died five years before, under suspicious circumstances. When a cousin (Sebastian Stan) arrives for a visit, family secrets and scandals unravel. Based on the beloved Shirley Jackson novel.